The science of comparative mythology, like almost all the sciences, exact and inexact, is largely a product of the nineteenth century; its origin and development followed closely upon that of comparative philology, the science devoted to language and literature. The phenomenal growth of comparative philology itself was due primarily to the recognition that both Sanskrit, the language of the oldest sacred literature of the Hindu peoples, as well as Zend, or Old Persian, the language of the oldest sacred literature of the Iranian peoples, were Indo-European languages; that is, they belong to the same family of languages as Greek and Latin. The intense revival of Indo-European philology that followed was therefore based largely on the ancient literatures of the Greeks, Hindus, and Iranians, and this led naturally and directly to a comparative study of the myths and legends as related and revealed in them. Moreover, toward the end of the first half of the nineteenth century, a new and unexpected field of study was opened to comparative mythology. For it was about this time that the Egyptian hieroglyphic script and the Babylonian cuneiform script were deciphered, and much new mythological material was gradually recovered. What added impetus and excitement to this field of research was the fact that it offered a more scientific approach to the study of the Old Testament. 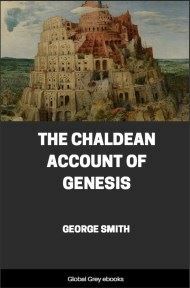 For it soon became evident that some of the Old Testament material was mythological in character, since it presented clear parallels and resemblances to the myths recovered from Egyptian and Babylonian sources. And so the study of comparative mythology, following in the footsteps of philology and linguistics, was no longer restricted to the ancient Indo-Europeans; it now included the ancient Semites and Egyptians. Approximately at the same time, the growth and development of an almost entirely new science, that of anthropology, proved of fundamental significance for the study of comparative mythology. In all the continents outside of Europe, new peoples and tribes, in various stages of civilization, were being discovered. Students and travellers, scientists and missionaries, studied the new languages, described the strange habits and customs, and wrote down the religious beliefs and practices. 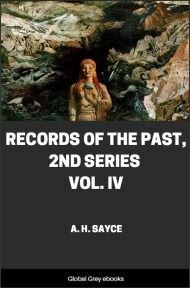 Much hitherto unknown mythological material was thus recovered from these more or less primitive peoples, and the science of comparative mythology broadened and expanded accordingly. And so, roughly speaking, we may divide the source material utilized by comparative mythology into two categories. 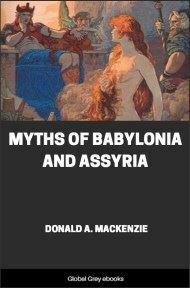 The first consists of the myths and legends of the ancient cultures such as those of the Hindus, Iranians, and Greeks on the one hand, and of the Hebrews, Babylonians, and Egyptians, on the other; these are revealed in, and derived from, the literatures of these peoples as written down largely in the first millennium B. C. In this group, too, we may class such mythologies as the Scandinavian or Eddie, the Chinese, Japanese, etc., which are derived from literary remains of a much later date. The second category consists of the myths and legends of the so-called primitive peoples discovered in recent centuries, as obtained by word of mouth from living members of those peoples and reported by travellers, missionaries, and anthropologists. It goes without saying that basically, and in the long run, the recent, primitive source material is every bit as important and valuable for comparative mythology and the related sciences as that of the ancient cultures. On the other hand it is quite as obvious that for the history of the progress of our civilization as we see and know it today, it is the tone and temper, the word and spirit of the ancient mythologies, those of the Greeks and Hebrews, of the Hindus and Iranians, of the Babylonians and Egyptians, which are of prime significance. It is the spiritual and religious concepts revealed in these ancient literatures which permeate the modern civilized world. 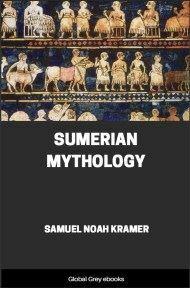 Still almost entirely unknown to this very moment is Sumerian mythology, the sacred stories of the non-Semitic, non-Indo-European people which in historical times, from approximately 3500 to 2000 B. C., inhabited Sumer, the relatively small land situated between the Tigris and Euphrates Rivers and stretching from the Persian Gulf northward approximately as far as modern Bagdad; a land that may be aptly described as the culture cradle of the entire Near East. Should the reader turn, for example, to Hastings' Encyclopedia of Religion and Ethics, and examine the very long article on the cosmogonic or creation myths of the world, he will find a large and relatively exhaustive list of peoples, ancient and modern, cultured and primitive, whose cosmogonic concepts are described and analyzed. But he will look in vain for Sumerian cosmogony. 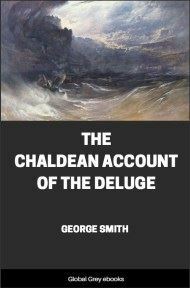 Similarly, the collection entitled Mythology of All the Races devotes thirteen volumes to an analysis of the more important mythologies in the world; here, too, however, there will be found few traces of Sumerian mythology. 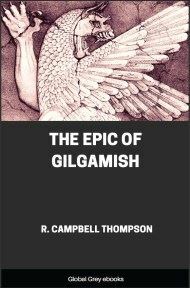 Whatever little is known of Sumerian mythology is largely surmised from the modified, redacted, and in a sense, garbled versions of the Babylonians who conquered the Sumerians toward the very end of the third millennium B. C., and who used the Sumerian stories and legends as a basis and nucleus for the development of their own myths. But it is a known fact that in the long stretch of time between approximately 3500 and 2000 B. C. it was the Sumerians who represented the dominant cultural group of the entire Near East. It was the Sumerians who developed and probably invented the cuneiform system of writing; who developed a well integrated pantheon together with spiritual and religious concepts which influenced profoundly all the peoples of the Near East; who, finally, created and developed a literature rich in content and effective in form.